Click on each book or use the menu to search for new releases from Hotspur. We publish Fantasy, Science Fiction, Horror, Adventure, Mystery, and Non-Fiction. You’re sure to find something you like. Star Hounds Book 1 :The Infinite Battle: by David Bischoff – Woman Against Universe. Star Hounds Book 2 Galactic Warriors: By David Bischoff – A Universe Torn By War. Star Hounds Novellas Planet Killer : By David Bischoff and Saul Garnell – Scheduled for release in mid 2012..
Wolf Dawn: by Susan Cartwright – This is the first book in the Wolf Dawn series. The Gaming Magi – Destiny Dice: By David Bischoff – Fantasy in the Gaming genre. Beautifully written and full of imagery. At the Twilight’s Last Gleaming: By David Bischoff – A thrilling novel which mixes urban fantasy and political conspiracy. Freedom Club: By Saul Garnell – Speculative Fiction and Literary Science Fiction. 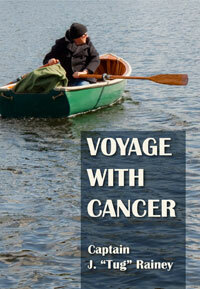 Voyage With Cancer: By J “Tug” Rainey – A touching non-fiction about a man’s personal battle against cancer. Star Trek The Next Generation – Grounded: By David Bischoff – Fantastic SciFi in the Star Trek Universe.